Where’s Art invites Danish writer and art critic Troels Laursen to introduce the work of digital artist Ole Tersløse. Ole Tersløse is originally trained as a painter, but in recent years he primarily has worked with computer-manipulated photography and visualisation in 3D computer programs. Although his works may resemble photographs at first glance, Tersløse never uses photography as the basis for his imagery; instead, he creates each image from scratch. The endless possibilities of computer graphics set him free to create works, reinterpret and reconstruct the world with a touch of poetry and madness. Tersløse’s insistence on making the unreal real is something we see in Surrealist painting, for example, but in contrast to the surrealist tradition, he does not attempt to create a perfect illusion. There is always something skewed in his depiction of reality. His latest computer-vitalised series “Flower Children” continues his exploration of this skewed parallel reality. The series consists of six computer visualizations printed as large lambda prints. As the recurrent motif we see apparently harmonious arrangements of children next to oversized plants. However, the idea of peace and harmony between the innocent children and nature does not hold water. One child is busy cutting a flower into pieces with a hedge clipper, and two of the children are hiding behind or inside the growths, like ostriches, who do not want to be detected or revealed. We soon realize, that “The snake in Paradise” is present in numerous guises. Although the children are, in a sense, natural, by virtue of their nakedness, they appear on closer inspection to be eerie, artificial objects. The children are more than pure, innocent, and free. They are too perfect to be true, and the whole setup, with the neutral background and the soft lighting, creates associations to commercial images of various consumer goods, in which the object depicted is often imbued with an aura of something sacred and unattainable, but at the same time cold and unapproachable. There is actually no longer anything natural and original present in his “flower-children-paradise”, because it is all created in advanced computer programs. By creating this false paradise, Tersløse reveals our preconceptions of an original, natural state of innocence as a cultural construction. His works are more about the reality that runs alongside so-called reality. He focuses on our understanding of reality, or perhaps our lack thereof…? Troels Laursen (1965) is theologian and writer, art critic in newspapers and magazines. Curator for “Natur, Tro Og Kirkerum” at Himmerlands Artmuseum, Denmark (2012); “Isotop” at Vendsyssel Art Museum, Denmark (2013); “Kunst ved Kanten”, Løgstør, Land-Art, 2012,13,14 and 15. 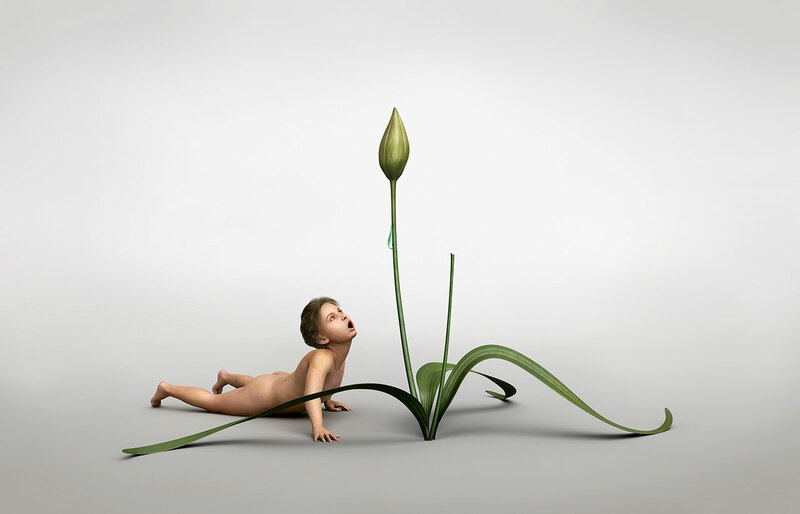 Ole Tersløse, ‘Flower Attacking a Child’, 2015, computer constructed image, lambda print mounted behind glass, ed. 3, 91 x 140 cm. Courtesy the artist. 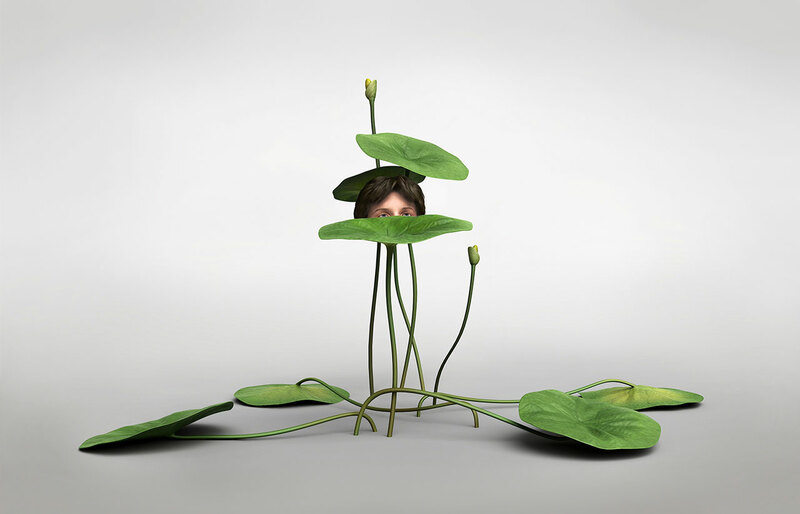 Ole Tersløse, ‘Hiding Child’, 2015, computer constructed image, lambda print mounted behind glass, ed. 3, 91 x 140 cm. Courtesy the artist. Ole Tersløse, ‘Child Looking at a Dewdrop’, 2015, ed. 3, 91 x 140 cm, computer constructed image, lambda print mounted behind glass. Courtesy the artist. Ole Tersløse, ‘Ashamed Child’, 2015, ed. 3, 91 x 140 cm, computer constructed image, lambda print mounted behind glass. Courtesy the artist. 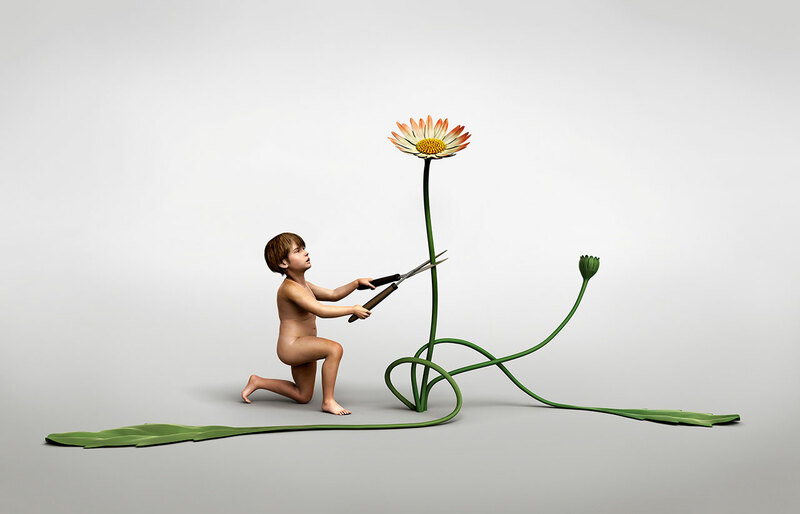 Ole Tersløse, ‘Child Killing a Flower’, 2015, ed. 3, 91 x 140 cm, computer constructed image, lambda print mounted behind glass. Courtesy the artist.